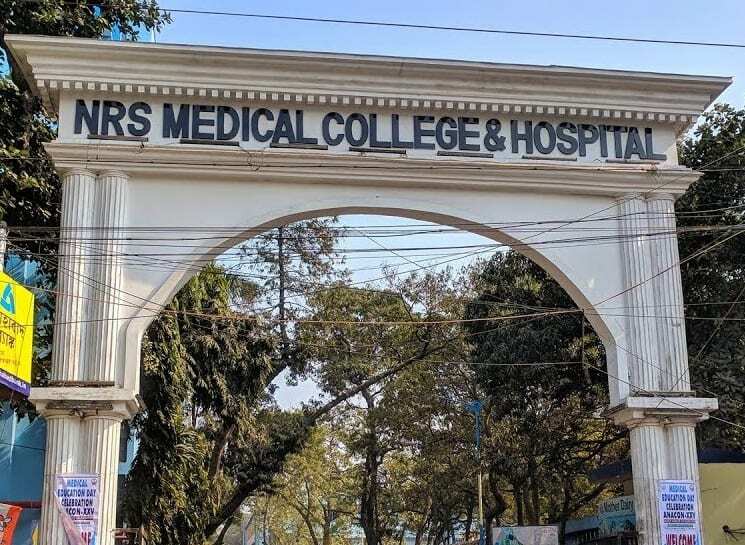 KOLKATA: In a bizarre incident, doctors discovered 10 needles stuck inside the throat of a 14-year-old girl based in West Bengal. 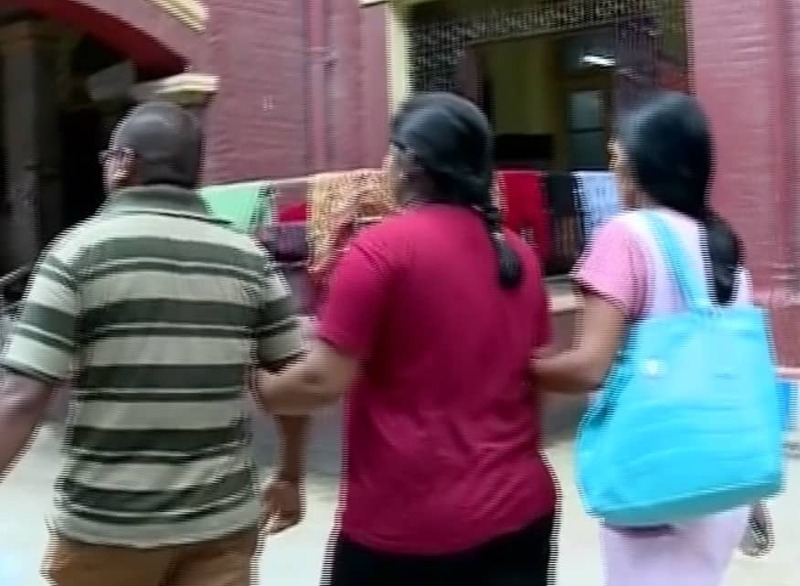 The incident took place in Nadia district's Krishnanagar city. 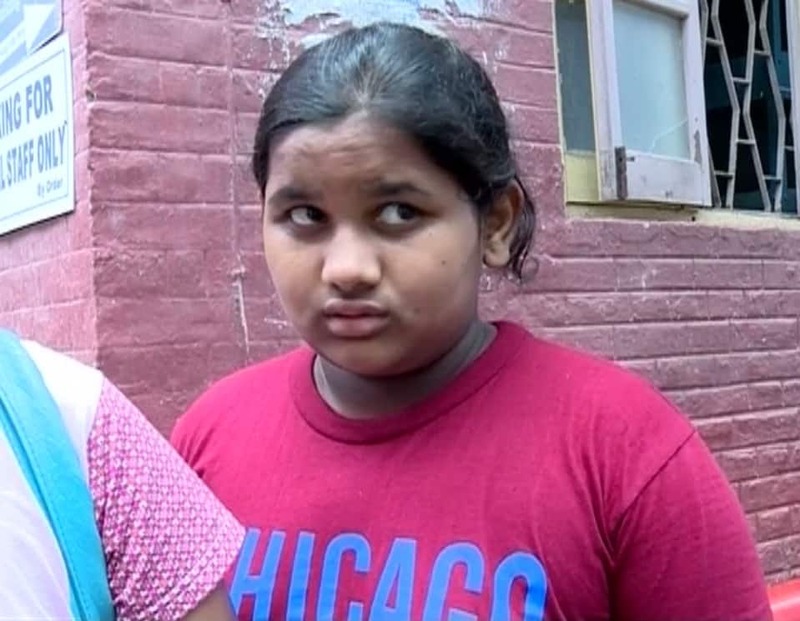 It was just like another day for 14-year-old Aprupa Biswas, Class 8 student of Krishnanagar Akshay Vidyapith. After coming back from school, the girl complained of throat ache. Dismissing it as a case of common cold and flu, the girl's mother proceeded to serve lunch. Suddenly while eating, unable to bear pain, Aprupa fell unconscious. The incident took place nine days ago. Aprupa was immediately rushed to NRS Medical College and Hospital. 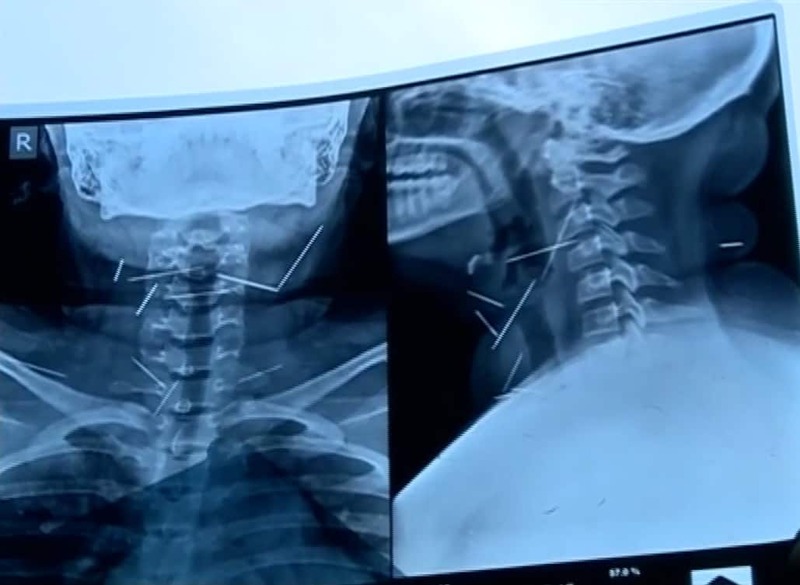 After initial investigation, doctors were shocked to find 10 needles stuck in the girl's throat. 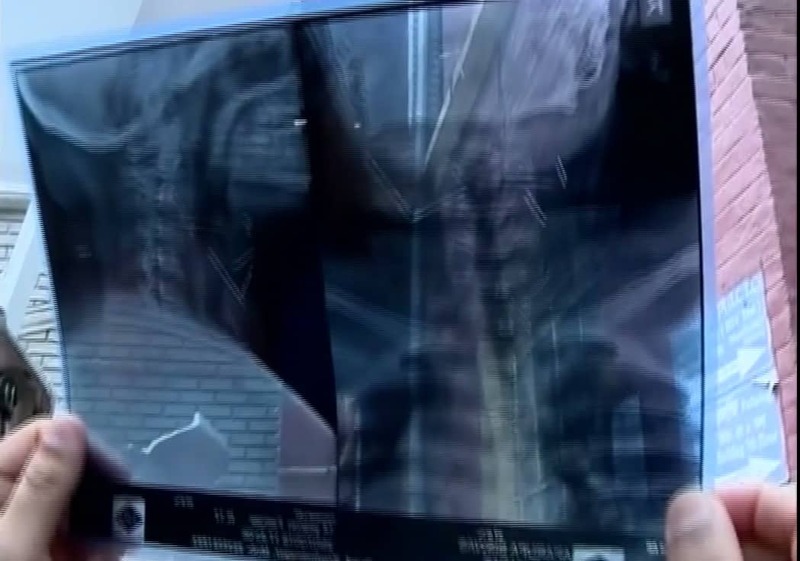 The digital X-rays, shared by doctors, showed needles stuck at weird angles, blocking the food pipe and throat. The operation to take the needles is scheduled for Tuesday. 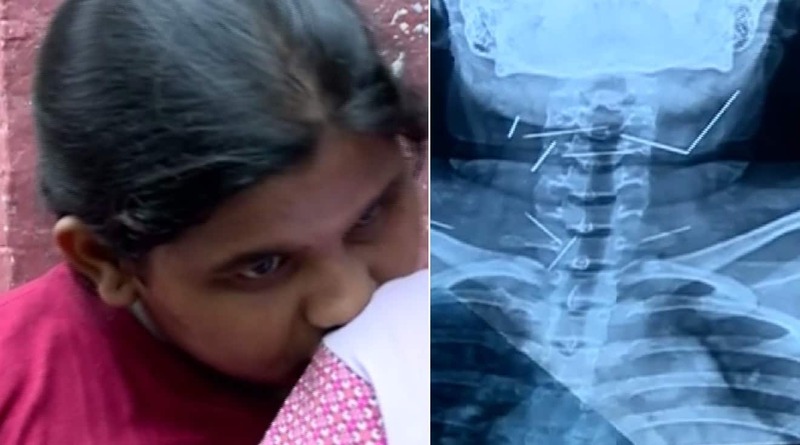 Interestingly, neither the girl nor her parents could solve the mystery of how the needles ended up in her throat, leaving the doctors speechless. 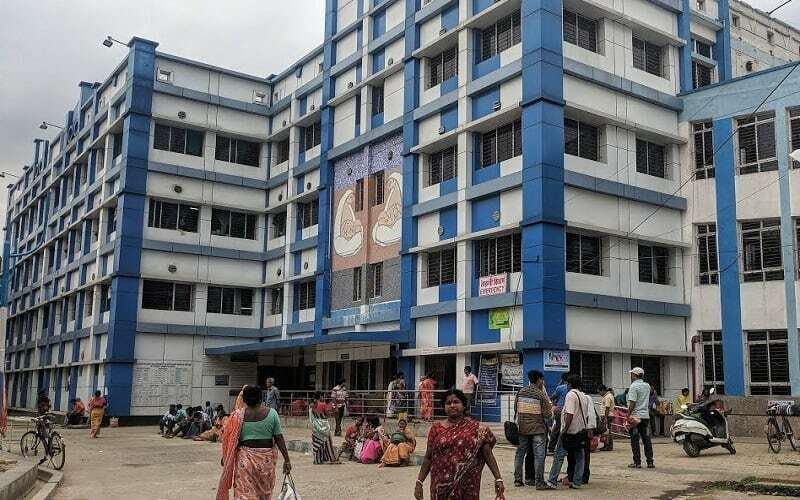 The girl was admitted to Nil Ratan Sircar Medical College and Hospital in Sealdah. 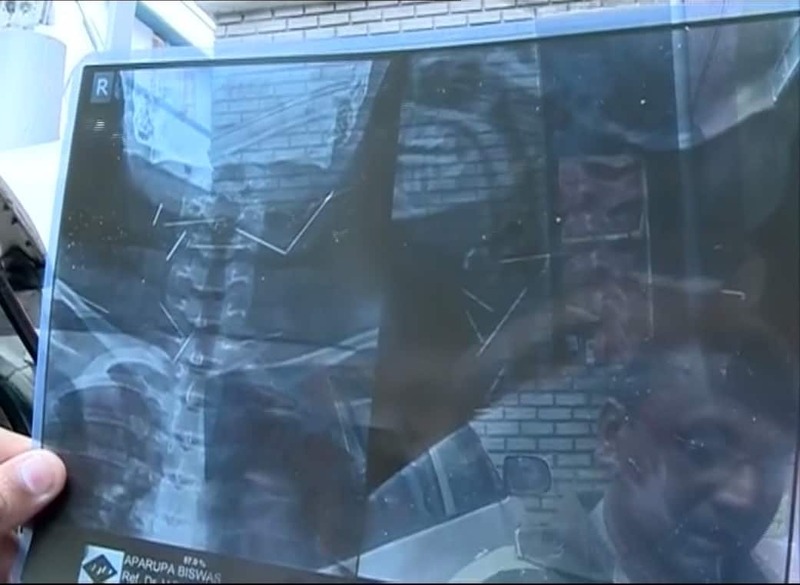 X-Rays showed needles stuck in the girl's throat. In severe pain, the girl fainted while eating lunch at home. 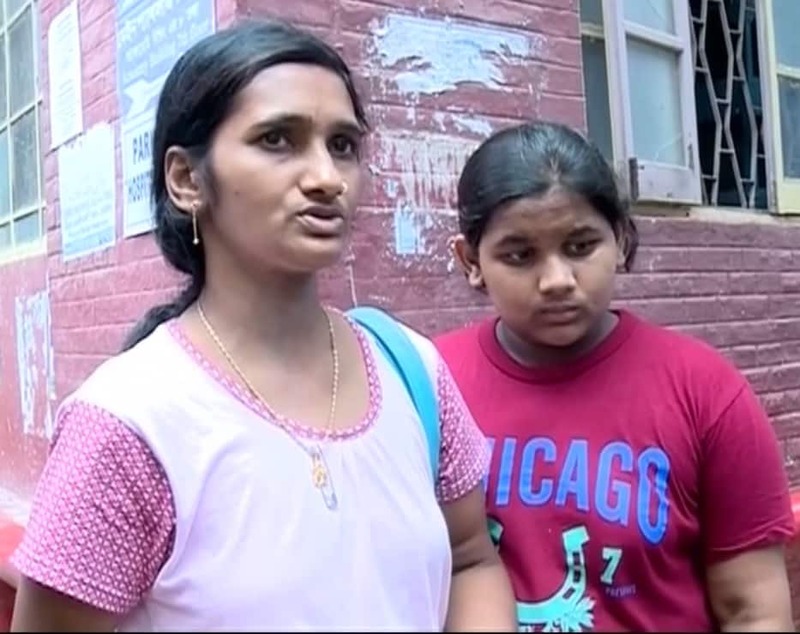 Neither the girl nor her family members have been able to explain how the needles ended up in her throat. Aprura Biswas studies in Class 8 in Krishnanagar Akshay Vidyapith. The entire case has left doctors baffled. The incident took place nine days ago. 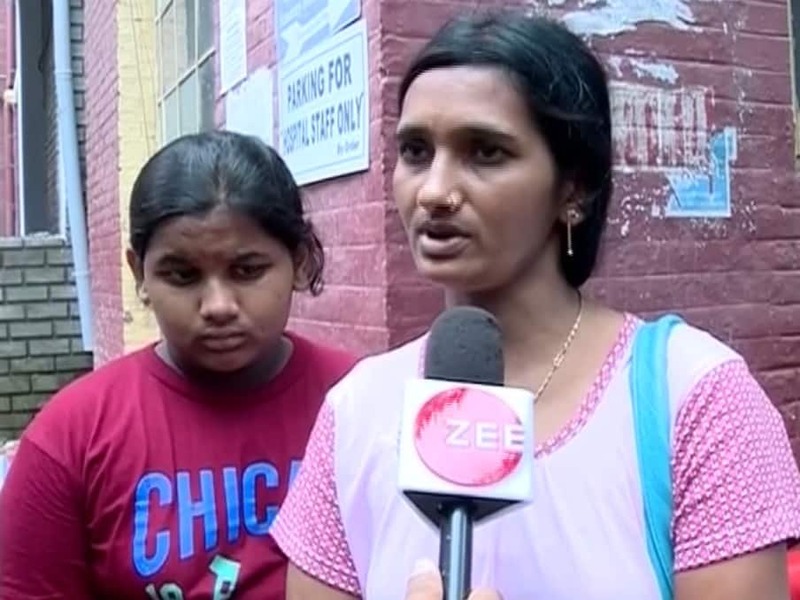 Mother-daughter talk to Zee 24 Ghanta reporters. Aprupa walks inside the hospital along with her parents.